wondered if any of you could point me in the right direction ? Have removed the fan assembly whilst car is away being painted . Fan didnt work prior to removal so can you tell me how to test unit ? What should the windings for each fan speed be ? 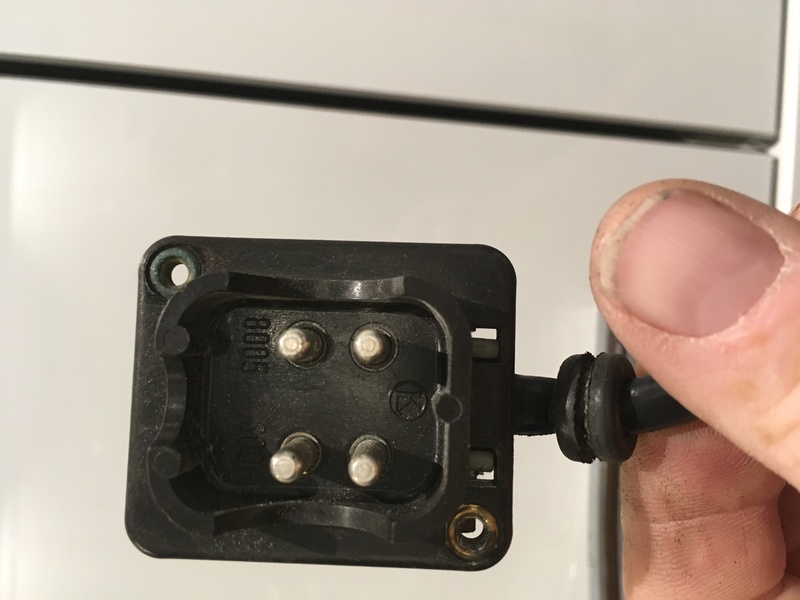 which of the 4 connections on the plug do what ? 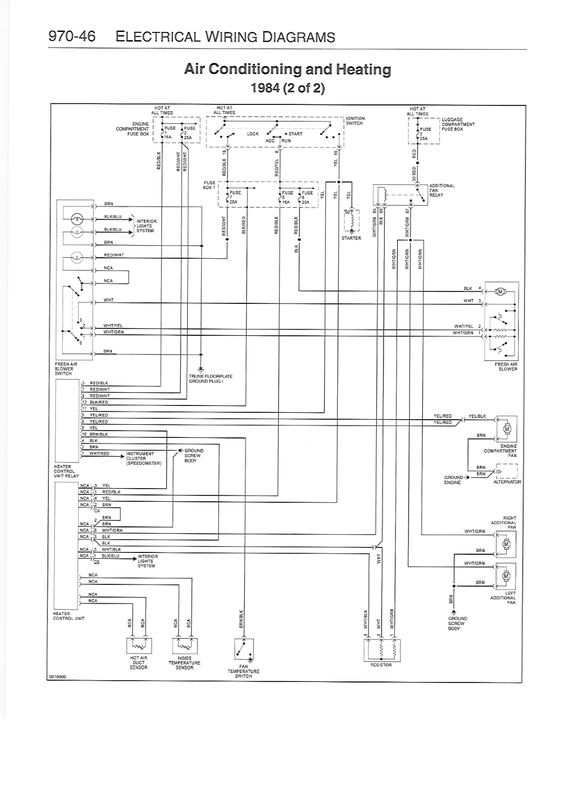 Ive only found the 1984 diagram but i think its the same ..
Pin 1 and 2 the earth for the slowspeeds . Right click and select view for a larger image , you can also then zoom. Also spin the fan by hand .. ive seen a few now that are seized .. if so then removeing the fan from the motor in one piece is a pain but if you can its a lot cheaper than an entire fan unit . having tested by running 12v to the unit I have discovered that the fan will only run at full speed. Can someone explain how the unit works that controls the 2 slower speeds ? If you have the fan removed or unplugged then put 12 volts to pin 4 and an earth to pin 3 that will be full speed .. If you move the earth from pin 3 to pin2 then it will be one of the slow speeds with the earth on pin 1 being the other slow speed. If neither slow speed works then its the resistor in the fan unit thats faulty .. if all works then its the switch or the wiring to the switch thats faulty . 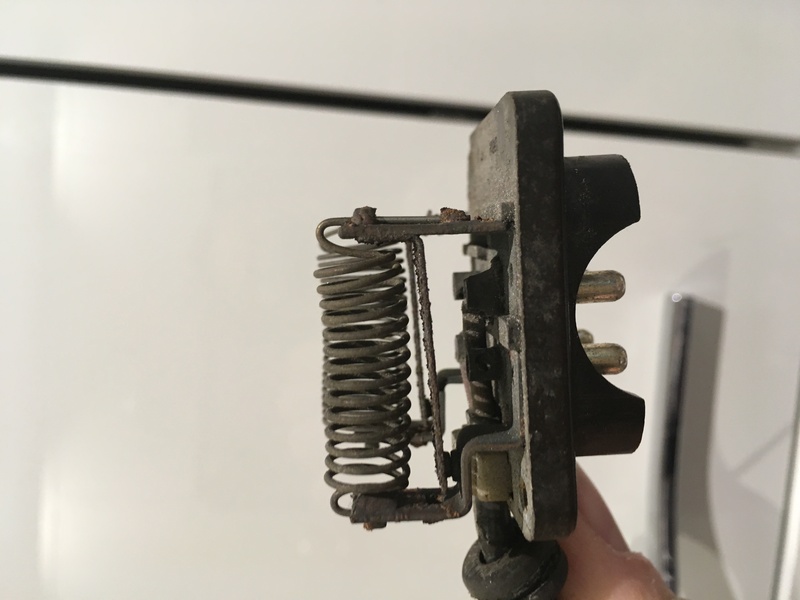 really need to know how to test/ repair the resistor set in the plug connection ? Aghh i answered your PM without seeing this .. the crimps look the most obvious place to go high resistance . I think you have 2 contacts there that as they get hot will switch it to full speed .. the diagram would seem to indicate this so if you get full speed on pin 1 or 2 when given an earth then thats the fault . so it would appear that the crimped terminations between the resistors and the 4 terminals suffer from corrosion ! Cleaned them up and ran solder into each one and result !